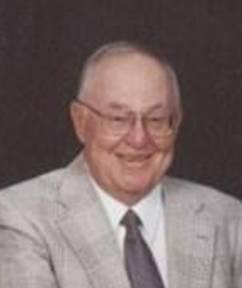 LEXINGTON–Roy S. Alford III died Wednesday, November 2, 2011. Born in Milledgeville, GA, February, 27, 1935, he was the son of the late Agnes Drennan Alford and Roy Stephens Alford Jr. He was a graduate of Georgia Military College and Southern Technical College of Georgia with a degree in civil engineering. After graduation, Roy worked for the Georgia Highway Department before moving to Columbia. He was a former sergeant in the Georgia National Guard. He had retired from Alford Construction Company, formerly of Lexington, SC, Peck Management, Daytona Beach, FL. He was currently partner in Southeastern Organic, LLC. He was a member of Saxe Gotha Presbyterian Church. He is survived by his fun-loving wife of 37 years, Emily Blackwelder Alford. He is also survived by sons, Steve (Donna) Alford, Charlie (Scotti) Alford; stepchildren, Daryl (Nora) Neely, Rhonda (Jerry) Branham and Sharon Hash; and his sister, Julia Alford (Don) Duke of Griffin, GA. He is also survived by nine grandchildren and five great-grandchildren; and a number of nieces and nephews. In addition to his family, he is survived by his loving dog, Toby. Roy loved and lived life to the fullest and he will be missed by all who had the pleasure to know him. The family will receive friends from 5:00 p.m. to 7:00 p.m. on Friday, November 4, 2011, at Caughman-Harman Funeral Home, Lexington Chapel. The service will be held at 2:00 p.m. on Saturday, November 5, 2011 at Bush River Memorial Gardens and Mausoleum Chapel, 5400 Bush River Road, Columbia, SC. In lieu of flowers, memorials may be sent to Loaves and Fishes Ministry, PO Box 944, Lynch, KY 40855 or the charity of your choice. 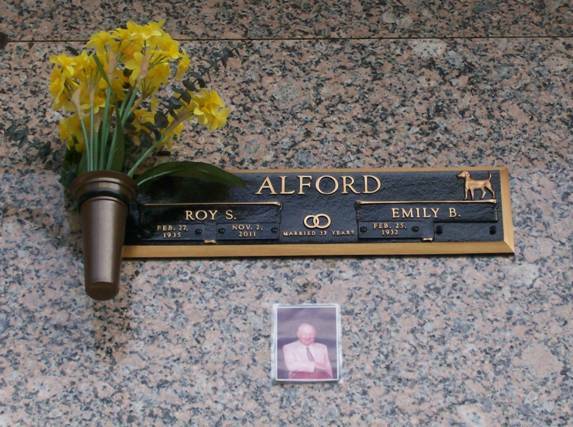 Roy is the brother of Julia Louise Alford Duke, AAFA #0528. His lineage: Roy Stephens 1935 GA1, Roy Stephens 1908 GA2, Roy Stephens 1879 GA3, Allen Stephens 1848 GA4, John Allen 1815 GA5, William 1794 NC6, Kinchen 1768 NC7, Lodwick 1710 VA8, James 1687 VA9, John 1645 VA10.